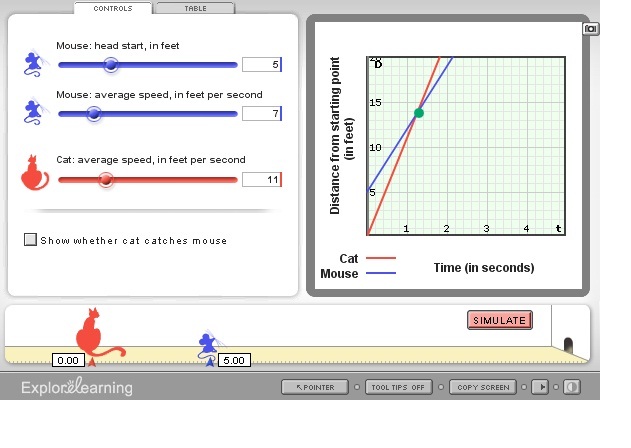 This is a screen shot from explorelearning’s Gizmos. This site has various simulations related to science and math. This one shows multiple reprsentations for a system of equations. The site has 5 minute test trials which can be used to present a topic in class. I used the one for photosynthesis for a 7th grader with asperger’s who was collecting data for his science fair project.